Give your loyal customers a voice. 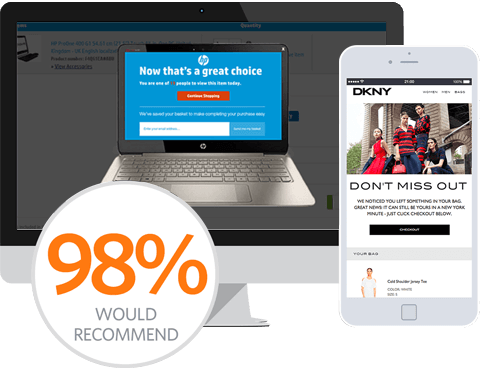 Don’t wait for feedback to come to you, proactively reach out post-purchase to find out what’s really on your customer’s mind. 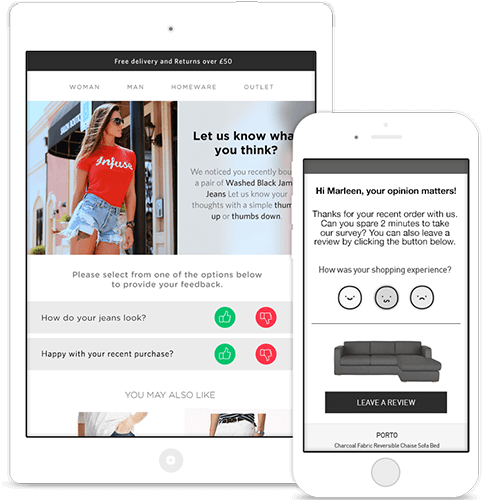 After a purchase has been delivered an email or SMS survey is triggered. 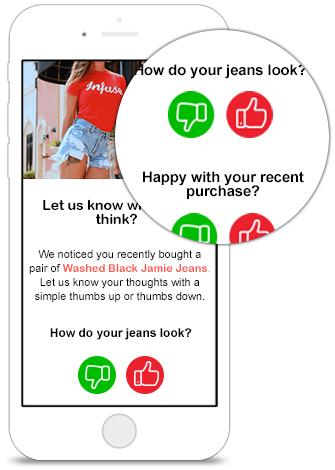 The customer is invited to share their feedback on their purchase or the service. 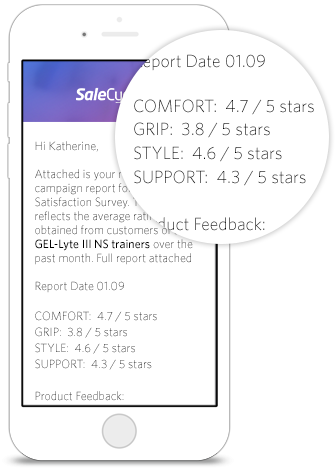 We'll collate the feedback and send the insights across to you. Here's the stuff that makes our satisfaction surveys great. Simple Answer Surveys	Maximise responses. Timed to Perfection	Right on time. Insights	See how you're doing. Get the right insights and maximise responses with short, easy to answer surveys. Dynamic questions based on items purchased. Emails or SMS messages are triggered to send at a time after the products have arrived and been used. Customized dispatch times per product. Send only for particular items you want feedback on. See where you are performing well, or where your products could do that little bit better. 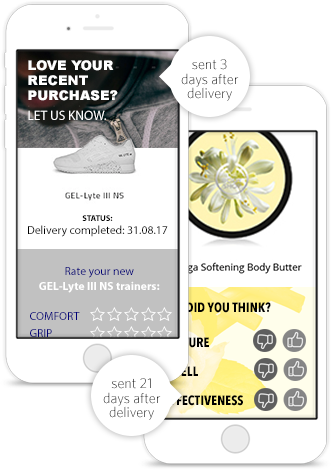 Francesca Saffari explains how the UK’s premier luxury retailer has worked with SaleCycle to improve customer experience.